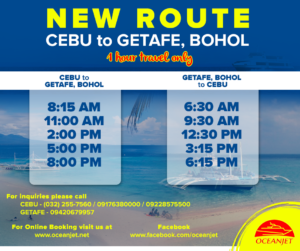 Get ready for our Cebu to Getafe, Bohol and vice versa trips. Sailing date starts on Januar 24, 2019 (Thursday). What are you waiting for? Grab your tickets now!